Below we will assist you in choosing what kind of sleeping bag you want and the qualities that you should look for when making your purchase. The first thing that you will need to decide is what weight of sleeping bag you want, as this varies considerably. If you are planning to do a lot of hiking whilst carrying your bag then you will want to get one that is not too heavy whilst still getting a tog level that is suitable for the climate that you will be in. The higher the tog rating the warmer it will be. If you are planning to head off mountaineering, you will want to get a thicker sleeping bag, as this will keep you warmer during the night and keep you more comfortable. There are a number of aspects that will be important when it comes to selecting your sleeping bag and the order of importance will vary from person to person. There is ‘best’ choice sleeping bag as this will come down to your personal circumstances, and where you plan to adventure; therefore you will need to carefully consider which one is most suitable for you. If you are looking to use the sleeping bag a lot then your requirements will vary compared to someone who is looking to use one occasionally. All of the sleeping bags that are reviewed in this article are made by well-known and respected manufacturers. It really goes without saying that you will want to get a sleeping bag that is comfortable as this will assist you to get a good night’s sleep which will give you the energy for exploring during the day. For most people this will probably be a number one priority. 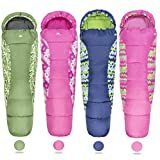 All of the sleeping bags that are reviewed in this article have scored well for the level of comfort that they provide. Warmth is another major aspect that should be considered as this will increase or decrease the level of comfort. It can be surprisingly cold during the night depending on the time of year and the location that you are in; therefore you need to ensure you have the right kit for the conditions. You will need to carefully consider if you want a mummy style bag or a quilt style bag. The mummy style bags are tapered at the feed and it is encloses near the head and this leaves only enough room for your face. Safety is another important aspect of a sleeping bag as you want to be safe whilst you sleep therefore there should be no lose cords that you could become tangled in. It is also important that you are quickly and safely get out the sleeping bag if you need to. Another aspect that is important is the durability of the sleeping bag. You will want a sleeping bag that can last over a long period of time, as the purchase should be viewed as a long-term investment. Generally speaking when it comes to getting a sleeping bag it is recommended that you opt for one that is insulated with goose down or duck down, as this is an optimum option since it is a natural filling. The advancement of technology has meant that the manufactures have continually improved and one of the biggest weaknesses which was moisture resistance has now been substantially improved. Seasons: 3 Season. Early Spring to late Autumn. 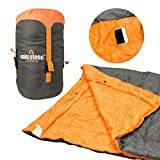 Overview: One of the highest rated sleeping bags on Amazon and it can accommodate two adults comfortably, however it is a bit bulky to wash and pack away after use. The comfortable temperature for this bag is 2 degrees centigrade or 20 degrees Fahrenheit. Materials: The key materials in this bag are that the shell is made from Taffeta and it has a poly flannel lining. Uses: Ideal for base camp whilst backpacking, camping and hiking. Perfect for school trips, expeditions, family camping and camping in warm countries abroad. The TETON Sports Mammoth sleeping bag is produced to a very high quality and it is able to offer a great deal of warmth, which makes it perfect for almost any time of the year,both summer and winter. This TETON sleeping bag is huge and it is a similar size to that of a queen size bed. If you are sharing sleeping accommodation it will not cause any problems if your partner likes to toss and turn during the night. One of the advantages of the Teton Sports Mammoth is that it is very easy to locate and use the zippers that are separate. It’s possible to split the sleeping bag into two separate quilts and one person would be able to easily get out the sleeping bag without disturbing the other person too much. One added advantage with this bag is it has inner baffles which are able to trap the heat in the bag whilst also keeping drafts out. The Sports Mammoth feels soft against your skin and this is one of the advantages over some other sleeping bags which feel scratchy and itchy to touch. Seasons: 2 Season. Late Spring to Early Autumn. Overview: This bag is great in near freezing temperatures and it has a rating of 20 degrees Fahrenheit. This product is ideal when you are looking for a lightweight bag. Uses: Best used for family camping trips or light expeditions. Also suitable for camping abroad in warm countries. The Abco Tech sleeping bag is a great companion for anyone who enjoys the outdoors and this lightweight bag will make it possible to get a comfortable sleep on any surface. This bag can also keep you warm during the winter months therefore it is suitable for use at all times of the year. The Abco Tech is a modern product which features an envelope style which can satisfy even the most demanding of people. The bag features a luxurious exterior which is soft and made from 210T polyester and certainly allow you to have a well-deserved rest following a day of hiking or exploring. This product comes complete with a carry bag that features easy to remove straps and this carry bag does not actually take up too much space. 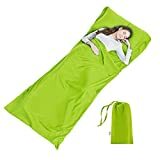 This sleeping bag is about two hundred and twenty centimetres’ in length when it is rolled out, therefore it is a perfect fit for the average person. Overview: This sleeping features a durable outer made of polyester ripstop and the lining is a soft polyester. This bag offers insulation with 1700 grams of Coletherm hollow fibre and it has a comfortable rating of 2 degrees centigrade. Uses: Ideal for school trips, light expedition, family camping and camping abroad. The Coleman North Rim measures thirty two inches by eighty two inches. This sleeping bag is very convenient for carrying around which makes it perfect for travelling. The Coleman North Rim has the ability to keep you warm even in zero degrees Fahrenheit temperatures. One of the highlights of this sleeping bag is that is features integrated Comfort Smart technology and this provides a relaxing and durable rest following a long day. This product also features an exterior that is water repellent therefore it is suitable to use in rain and conditions of extreme weather. This product also features an unzip button that is designed to allow extra ventilate which is perfect during warmer temperatures. Seasons: 3 Season. Suitable for use early spring to late autumn. Overview: The TETON Sports Celsius XL sleeping bag is a warm and cosy product which features an adjustable shoulder strap and a full length zipper to eliminate drafts. This sleeping bag is the perfect addition to your backpacking equipment. Two adults can comfortably use this product and still have plenty of space to move around. Uses: Ideal for school trips, light expeditions, family camping and camping abroad in warm countries. The size of this sleeping bag is ninety by thirty-six inches and this makes it about fifteen inches longer than most other sleeping bags. This product features a half circle hood which is mummy style with drawstring which helps to keep head or pillow off the ground. The Teton Sports Celsius xl is designed and constructed to a high standard. It features a taffeta shell which is sturdy and durable. It is easy to pack away and it can withstand years of vigorous use. This product features double layer construction for the entire width and length which helps to increase the durability and warmth. The lining of the Teton Sports Celsius Xl makes it very comfortable and able to cope with very cold temperatures. The mummy shape designs of this product ensures that no heat is lost and you will stay warm all night long. This product has actually been rated as one of the best for warmth therefore it is highly unlikely that you will sense any cold if you opt for this bag. The thick taffeta shell and the double layering structures will ensure that you stay cosy. It is very easy to clean which makes it easy to look after. There is a lot of practical pockets on this product that means that you are easily store your gadgets and the compression sack makes it easy to pack away after use. 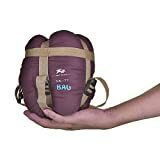 The only one thing that really needs improved on this sleeping bag is the zipper as this could be made from a better material and perhaps the size of the bag could be improved slightly. 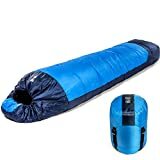 Overall though this is a very good sleeping bag and it really will not disappoint as it provides great value for money. There are many great features on this bag and really is a sleeping bag that is worth investing in. Soft poly flannel lining makes it perfect for extreme conditions. Can be combined with another TETON sleeping bag to make more space. Several pockets which are handy for storing various items and gadgets. It’s not suitable for using in sub-zero temperatures. Seasons: 4 Season Suitable for use in winter. Overview: This bag is great for extreme temperature and it can withstand weather of up to minus five degrees Celsius which is twenty-three degrees Fahrenheit. Materials:This sleeping bag is made from a polyester shell and the filling is cotton. Uses: Suitable for use in winter as can cope with temperatures to minus five degrees Celsius. The Ohuhu Double is a great product for people who want a bit of comfort whilst enjoying the great outdoors. This bag is soft to touch therefore offering great comfort and it offers warmth and enough space for two adults to comfortably sleep. One of the very useful things about the Ohuhu is that it can be used as a double bed or it can be used as single beds depending on your requirements. The zipper that is located on either side of the bag will ensure that when used as a double one person is able to get out of the bag without disturbing the other person. The Ohuhu Double features many highlights and one of the main ones is that it is made from 210T waterproof polyester therefore you can even use it in rainy weather and no water will manage to get into your sleeping bag. The inside of the bag is made from 3D cotton which means that it is super soft and will keep you cosy even in cold weather. 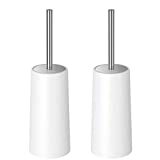 One additional advantage of this product is that it is ideal for backpacking, travelling and hiking as it can easily be rolled up and put into the storage bag. One fantastic additional feature of this sleeping bag is that it comes complete with two lovely soft pillows. Seasons: 3 Season. Ideal for use early spring to late autumn. Overview: This sleeping bag is a good option for people who want to have the ability to sometimes have a single sleeping but sometimes have a sleeping area that is big enough for two people. This product is able to cope with extreme temperatures of up to minus three degrees Celsius. Uses: Suitable for school trips, light expeditions, family camping and camping abroad in hot countries. The dimensions of this sleeping bag is two hundred and twenty centimetres by seventy five centimetres. The King Camp Oasis features an expertly designed envelope shape with a hood which provides additional comfort. This bag also has a double zipper system and draft tube insulation which ensures heat insulation. The King Camp Oasis makes the ideal place to have a comfortable sleep after a hard day of hiking or travelling. The King Camp Oasis series of sleeping bags have been expertly crafted to be able to keep you warm. A lot of seasoned campers prefer an envelope design style sleeping bag, as they provide more warmth and keeps out unwanted drafts. The half circle shaped hood is a great way to keep your head warm under the stars. This sleeping bag is also very easy to carry as its carry bag is durable and strong. Seasons: 3 Seasons. Ideal or use early spring to late autumn. Overview: The mountaintop sleeping lightweight sleeping bag is made from high quality polyester and has a one hundred per cent hollow cotton filler. The rip coating shell is gentle against the skin and it adds extra comfort. Materials:Made from high quality polyester and has a one hundred per cent hollow cotton filler. Uses: Ideal for family camping, school trips and light expeditions. The MountainTop Cotton Envelope has an adjustable mummy hood that features a drawstring which makes it possible to adjust the hood around your head and cover your face. The double sided zipper enables the user to open the bag all the way around. This zipper makes it possible or this bag to also be used as a blanket or even a sleeping mat. The Velcro lock reduces the risk of heat being lost through the zipper. This MountainTop product comes complete with a carrying bag that has compression straps which are handy for reducing the size of the bag. This sleeping bag is 83.9 inches by 90.3 inches. 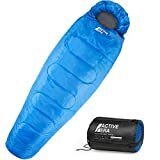 This sleeping bag is able to provide the user with a warm and comfortable to sleep as it is capable of coping with a temperature of zero degrees Celsius. The MountainTop sleeping bag is versatile and multifunctional as it’s suitable for use by adults, children and teenagers. This bag is designed to suitable for trekkers, travellers and hikers. This product is also very easy to clean and carry.